Agra is home to the Taj Mahal, one of the Seven Wonders of the World and it is a famous destination for tourist because of the magnificent Mughal Infrastructure, arts & culture. The present Agra city was established by Sikandar Lodi of the Lodi Dynasty in the 16th century and later it became the capital city of the mighty Mughals. 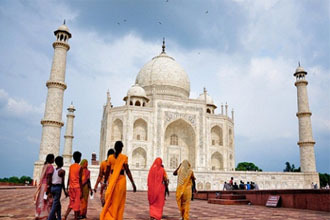 Agra is house of three UNESCO’s world heritage site. It’s a must visit tourist destination. 1- Delhi-Agra-Delhi by Air Conditioned Vehicle.